"That was the year we had no food." 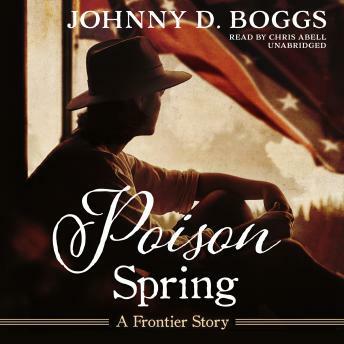 It's the spring of 1864, and times are hard in Washington County, Arkansas, especially for thirteen-year-old Travis Ford. He hasn't heard from his father, a sergeant in the Second Arkansas Cavalry, in months. His mother is struggling to make ends meet on the family farm and abandoned sawmill near Poison Spring. All Travis really wants to do is to follow his passion-make up adventure stories in the style of Alexandre Dumas. But the Civil War keeps getting in his way. Since his mother hails from Illinois and has Abolitionist leanings, the Ford family-including Travis' twin sister, Edith, and their seven-year-old brother, Baby Hugh-has few friends to turn to for help, only eccentric Miss Mary Frederick, who owns a cotton plantation down the road, and Uncle Willard Ford, a slave trader in nearby Camden. For the most part, Anna Louella Ford and her children find themselves alone, and they are about to become even more isolated.